As concerned citizens, we call on you to take urgent steps to immediately stop officials pushing for oil exploitation in Sani Isla. We urge you to protect the Amazon from the devastation of oil exploitation. It is a serious threat to this pristine habitat and the survival of Ecuador's indigenous people, who are struggling to resist the oil companies and hold onto their lands. We call on you to uphold Ecuador’s inspiring Constitution. In the heart of Ecuador, a mega oil company is trying to turn the most pristine rainforest into an oil field. The Sani Isla Kichwa people are bravely resisting, and they have just asked for our help to save their home. 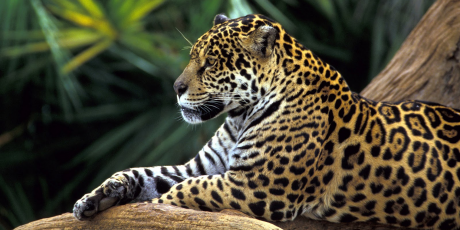 The community has signed a pledge never to sell their land, where jaguars roam and a single hectare can hold more diverse animal life than all of North America! But Ecuador’s government is trying to buy them off and open up 4 million hectares of the Amazon to big oil. President Correa is in an election battle right now, and he rides on a reputation of respect for the environment and indigenous peoples. If we can kick up a global stink and make the Amazon protection an election issue, we could stop the oil rush. So far the community has courageously stood firm, but the oil men could come with their drilling gear any day now. The Kichwa are appealing for our help to save their Amazon. Sign this petition now and share it widely -- if 1 million people sign, we’ll build a media storm that forces Correa to pull back.